Scott won his main Masters title in 2013 after a dramatic playoff win over Angel Cabrera. The 38-year-old struggled for form in 2018 but is coming into the tournament in good nick after good finishes at the Torrey Pines and the Players Championship. “It’s been a nice stretch of preparation; I’ve had some rest and worked plenty on my game since the Players,” Scott said. 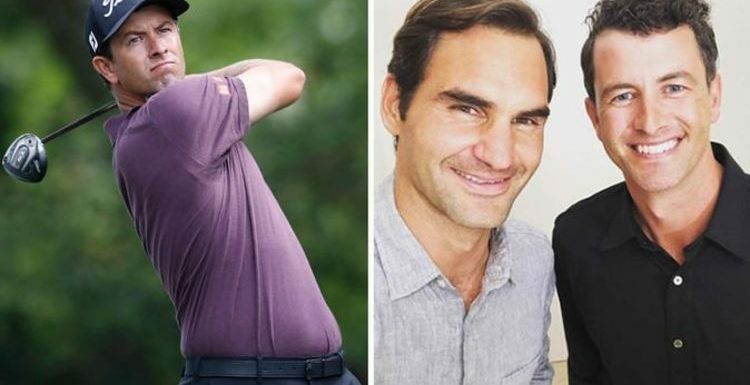 Federer and Scott have become close as both wear Uniqlo clothing in their respective sports. On Instagram, Federer posted a picture of the pair from a recent interview. Scott teed off at 15:09 (GMT) with Hideki Matsuyama and Kyle Stanley in the first round. This year’s winner will earn a whopping £1,515,000 ($1,980,000), with the runner up earning £909,000 ($1,188,000). The third-place finisher will leave Augusta with £572,000 ($748,000) to their name, with the fourth and fifth-placed golfers receiving £404,000 ($528,000) and £295,000 ($386,375) respectively. The top 24 finishers will earn a minimum of £76,500 ($100,000), while those who miss the cut are given £7,500 ($10,000) for their efforts.